Touchstone is emerging as a major contributor on our herdsire row. He is the total package both conformationally and in fleece which has taken consecutive banners at the National. We love what he brings to our herd. 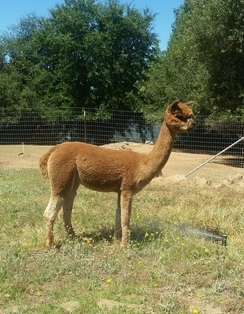 RR GUINEVERE - RR Guns Ablazin Daughter! 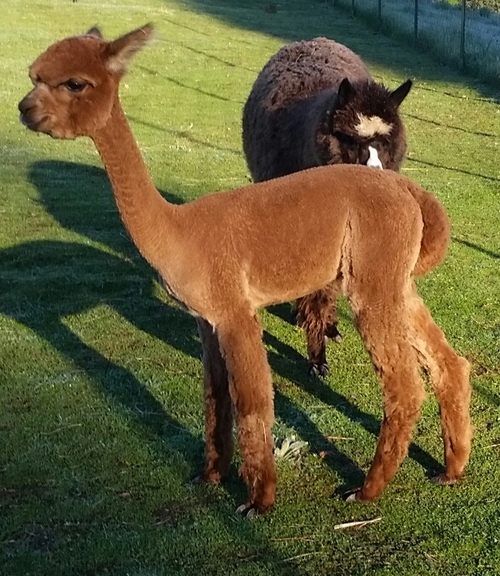 Koyuki is a super dam who was more than equal to the task in this breeding to our outstandingly pre-potent herdsire Gun's A'Blazin'. The requisite outcome is nothing short of what we have come to expect from Blaze. Guinevere has a square, compact, well proportioned frame. 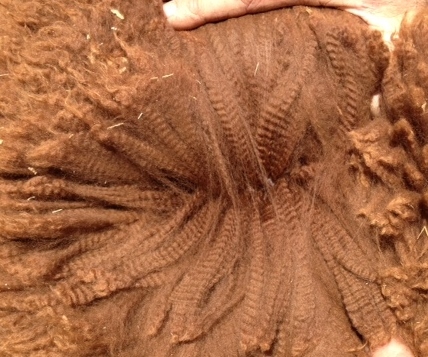 Her fiber is very bright, beautifully organized and uniform with little in the way of visible primaries. Touchstone's first breeding season was a terrific success and his juvie offspring did very nicely in the show ring. 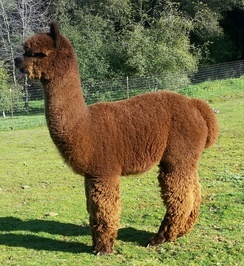 It's not surprising production from a sire who boasts 2 National Fleece Show Championships and in winning his last halter championship at age 4 was noted by the judge to be the finest in the color class. 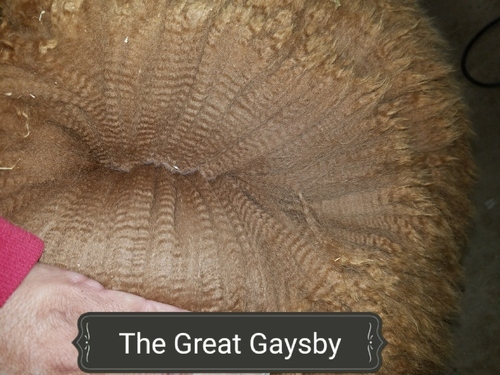 The Great Gatsby was one of 3 gorgeous fawn sons, who were close enough in fleece quality that they placed within 2 points in their first Walking Fleece Show, under Cheryl Gehly. 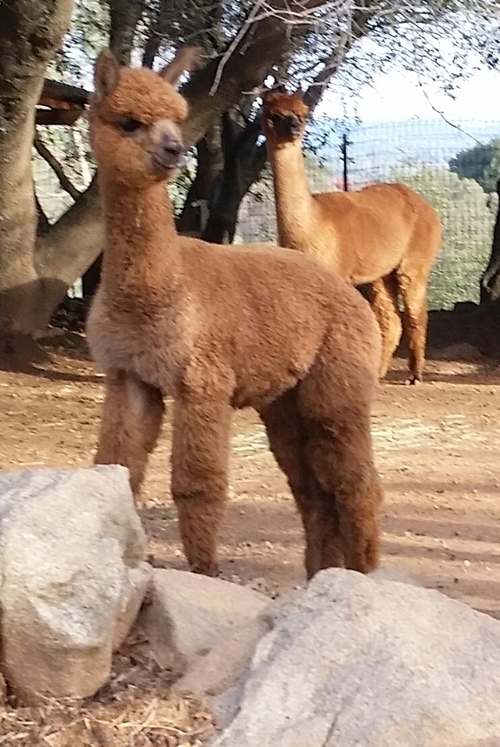 He is growing out well and has a strong square conformation. 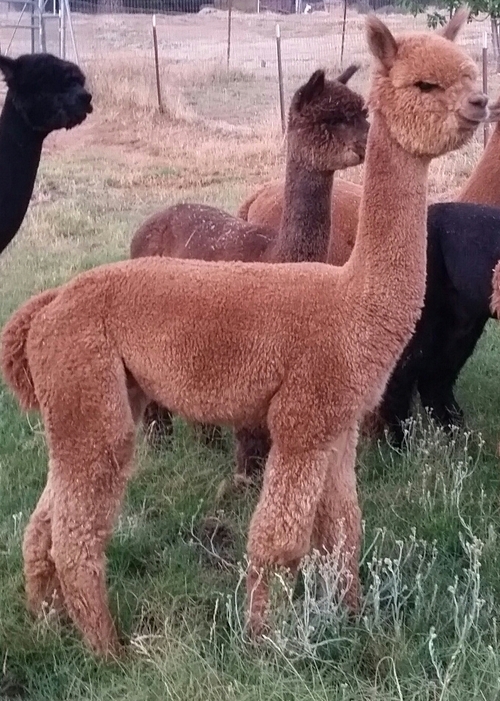 His maternal genetics are strong and Guinevere is one of the best Gun's A'Blazin' daughters that we have produced. 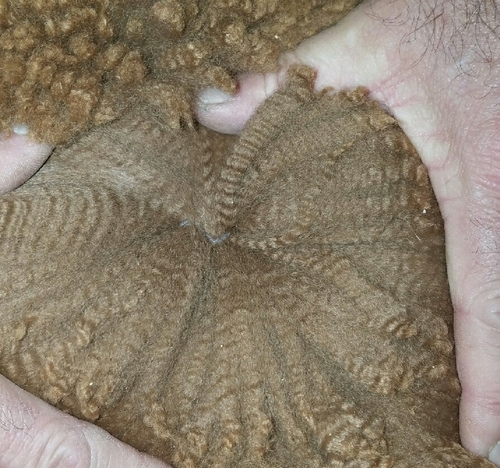 She is holding her micron in a very dense and beautifully organized fleece. To be paid in full at sale. Buyer pays for CVI and transport.